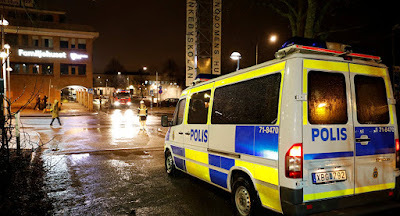 A Syrian male was accused by a Swedish prosecutor on Monday of engaging in an act of terrorism by allegedly starting a fire at a Malmo community center. In October, the suspect allegedly threw Molotov cocktails at the community center, owned by Shia Muslim organization Aldorr, causing one million kronor ($113,000) worth in damages to the building. The incident did not result in any injuries. Malmo's district court judged, in December, ruled that there was not enough evidence to prove the fire was an act of terrorism, and the suspect was remanded in custody on suspicion of arson. "I think I have enough material to want the court to take a position on whether or not this classifies as a terror offence," Prosecutor Agnetha Hilding Qvarnstrom said, as quoted by The Local Sweden newspaper. According to Qvarnstrom, the man is affiliated with the Daesh terror group, outlawed in Russia and many other countries. The charge sheet, seen by The Local, claims that "the purpose of the attack was to seriously intimidate a population group, in this case Shia Muslims, in the name of Isis." It also notes that the suspect is a Sunni Muslim, and has previously voiced his dislike of Shia Muslims. The charge sheet also reportedly states that police found evidence that the man had researched how to make a detonator and watched propaganda films of Daesh militants. The prosecutor added that the man had claimed he wanted to die "a martyr's death" in "Facebook conversations, among other things." There is reportedly no DNA evidence to prove the man was responsible for the fire, although the event was caught on CCTV. The charge sheets states that the suspect wore plastic gloves which were later found at his house. The 30-year-old suspect has denied the allegations and stated that he is not a member of the Daesh. The trial is due to begin at Malmo District Court on Friday.